The best Pittsburgh towing company. Top Shelf Towing, LLC is a fully insured towing and road service company that services the Southwestern Pennsylvania region. Owned and managed by Aaron Adamski, our crew services all of your towing needs. Our recovery and roadside operation can accommodate emergency or planned towing for motorcycles, trucks, and all passenger vehicles. With over 15 years of experience, we guarantee professional, immediate, and reliable top shelf service. 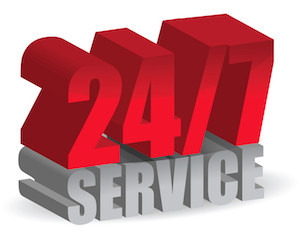 Top Shelf has you covered with a full list of services to cover your every towing need. If you require a service that we don't have listed here, call us and we'll provide a custom quote. Top Shelf Towing, LLC is a fully insured towing and road service company that services the Southwestern Pennsylvania region. With over 15 years of experience, we guarantee professional, immediate, and reliable top shelf service. All site content is either the property or under legal use of Top Shelf Towing, Copyright © 2015. All Rights Reserved. All work on this website may not be reproduced, in whole or in part, without prior written permission.